Double-manning is more popular among new drivers who, when accompanied by more experienced colleagues, may improve their skills and get to know all road-related habits and rules. To present double-manning in more detail, we decided to describe all rules applicable to transport of goods by a multi-man crew. The basic rule concerns a rest period. Namely, a diver can start their work in the company of a co-driver after having their weekly or daily rest. It applies to both drivers in a cab. In short – drivers may depart after a break. Another rule says that drivers must complete their route in 30 hours and have a daily rest period of at least 9 consecutive hours within that period. There is one condition – carriage must be qualified as performed by a multi-man crew as per the Regulation no. 561/2006. Thus, multi-manning means the situation where during each period of driving between any two consecutive rest periods – weekly or daily there are two drivers in a truck cab to do the driving. The fact of being in a cab is of essence here. The first hour is very important as it is the time for gathering the crew. For the first hour the presence of a co-driver in a cab is optional but for the remainder of the period it is compulsory. Passenger-driver – what is their situation? When setting out, the second driver becomes, in a manner of speaking, a passenger. They must be able to drive and the time they spend sitting by a driver is called a duty. What is important is that during that time they cannot perform professional duties but they must be ready to drive a vehicle. Once the first driver completes their driving period, the second driver takes over and drives for 4.5 hours after which time the whole crew have a break. Co-driver leaves a vehicle, tachograph’s status. As stated above – the only exception is the first hour of carriage. For the remainder of the period it is compulsory for both drivers to be in a cab. 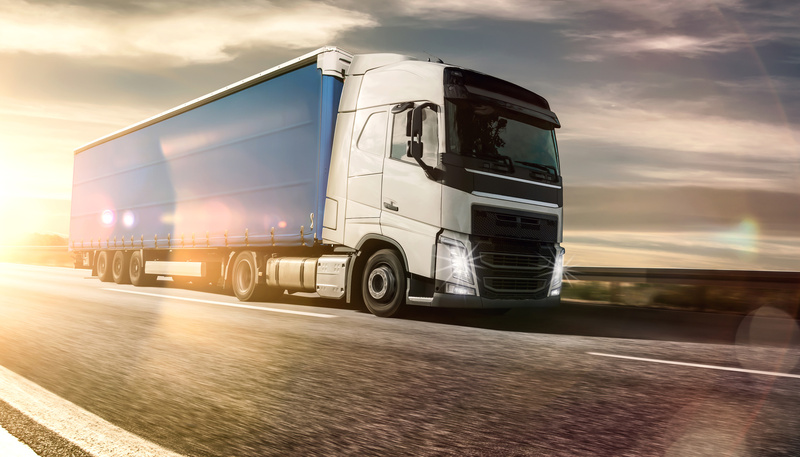 In the case the second driver leaves a vehicle too soon, the whole transport is treated as performed by one driver as it does not comply with the requirements of a relevant regulation. Each change of drivers or their current work-related status must be recorded by a tachograph. A tachograph has two separate slots. The card of a person acting as a driver should be placed in the first slot. A tachograph allows to select a “work” option for the first driver. The card of the co-driver is placed in the second slot and in such a case it is important to select a “duty” option for that driver. This way, information recoded on the cards will reflect the actual situation in a cab. It is important that when one person drives a vehicle, another one is ready to drive. When changing, drivers must remember to switch their cards as only slot number 1 records a vehicle’s movement.